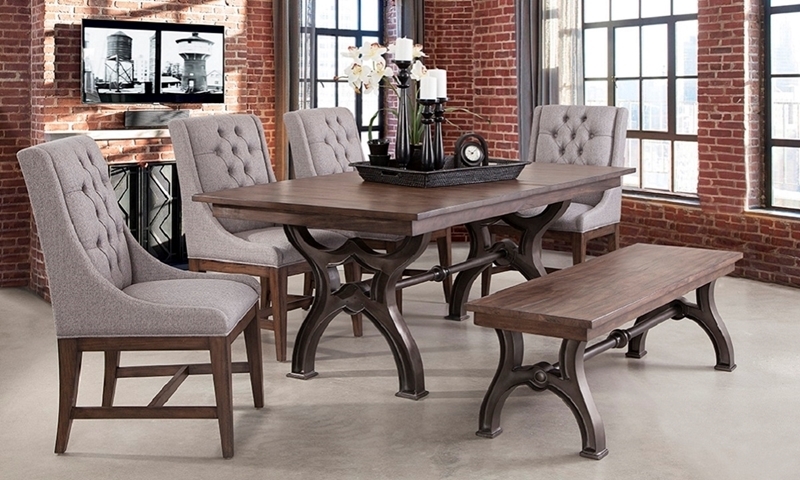 Diamond tufts and neutral upholstery elevate industrial metal details in the Davidson dining collection, making this six-piece set both sophisticated and edgy. 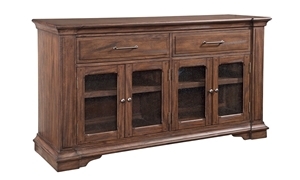 The 76-inch table top features subtle plank detailing over a traditional cast metal trestle base. A matching bench showcases the same details on a smaller, 60-inch scale, while four host chairs with tufted backs upholstered in neutral fabric lend a refined, balanced look to this dining group.